Myth: Organic is always healthier. Organic food can mean fewer pesticides for your family, but there’s no real evidence that it’s more nutritious. If you’re thinking about going organic, you may want to start with apples, peaches, lettuce, and spinach. When they’re grown conventionally, they can carry more pesticide residue than other produce. Worry less about fruits and veggies with skin you don’t eat, like oranges and avocados. Organic or not, make sure to wash produce well. Whole grains are healthier than refined. They’re usually better sources of fiber and keep you full longer. You don’t have to overload on them, but at least half your family's grains should be whole. Not used to the taste? Start by buying white, whole-wheat bread. 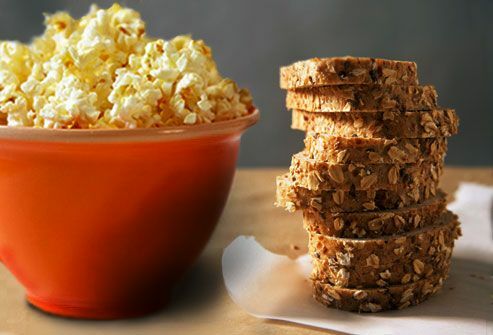 And try familiar whole grains like non-instant oatmeal and unbuttered popcorn. Next, buy pasta that’s a blend of whole and refined grains. You don’t have to ban dessert from your house. Just make it healthier (and still tasty): Fruit with a bit of dairy topping, a serving of low-fat pudding or reduced-fat ice cream. A small portion of candy with nuts or fruit -- like dark chocolate with raisins -- can even add a few nutrients to your diet. Just keep the tempting calorie-dense cakes and cookies to a minimum. 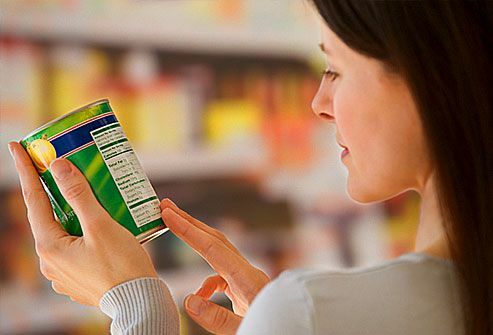 Products claiming to be "low-fat" on front labels may seem guilt-free. But they often have a lot of other ingredients that make them a less-healthy choice. 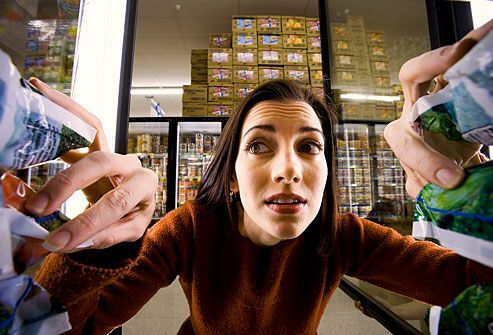 Before they go into your cart, check on the package's Nutrition Facts panel. Avoid foods high in sodium, sugar, fat, trans fats, saturated fats, and calories. At home, eat just one serving. For ice cream, that’s a half-cup -- one scoop from a regular-sized ice cream scooper. Nothing replaces the nutritional power of fresh or frozen fruit. But if your family wants juice, choose 100% fruit juices. Go for kinds that are naturally lower in sugar -- such as grapefruit or pomegranate. Keep drinks labeled "fruit juice drink" out of your cart -- they're usually full of sugar and empty calories. 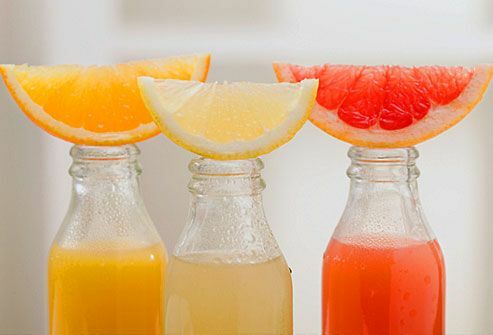 At home, drink just one 4- to 6-ounce glass a day, because even 100% juice can add up in calories. Mega-packages of food can be a great deal -- unless they’re big boxes of junk food. That’s just a big load of unhealthy temptations for your family. If you’re going to buy in bulk, stock up on healthy pantry staples or frozen items that you use a lot. And to keep it a bargain, make sure you’ll be able to finish items before they spoil. Myth: Leave the kids at home. 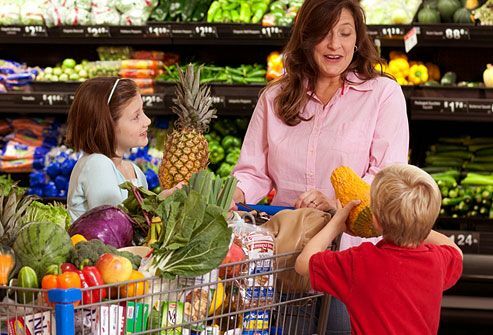 The store can be a great place to get kids interested in healthy food. They’re more likely to eat what they helped choose. At home, ask them to help you plan meals. 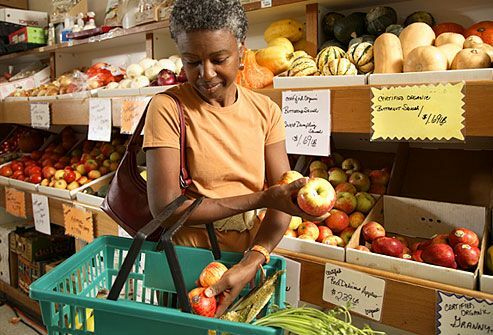 At the market, teach them how to read labels -- what to look for (fiber) and what to avoid or limit (saturated and trans fats). Let them choose healthy lunches and snacks. To fend off pleas for candy or cookies, give everyone a small snack before you head to the store. Myth: Fresh produce is best. Frozen fruits and vegetables are just as healthy as their fresh versions. They’re frozen at peak ripeness, which preserves their nutrients. 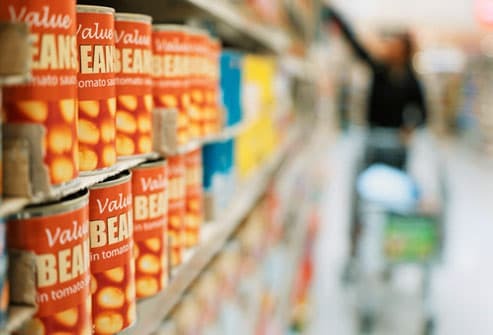 If you buy canned fruit and veggies, rinse them before you eat them to cut back on added sugar and up to half the salt. Also, look for cans labeled no sugar or no salty added. Dairy products do have fat, cholesterol, and calories, but they also provide calcium, protein, and vitamin D. To get the benefits without the downsides, choose low-fat and fat-free milk, yogurt, and cheese like string cheese and part-skim mozzarella. 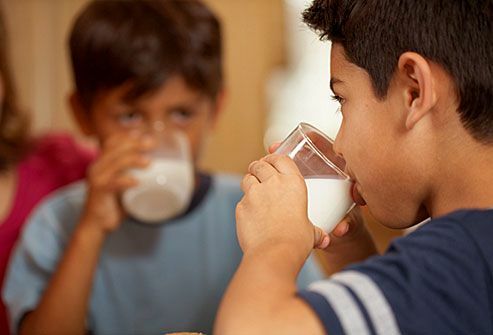 (Note that children under 2 need whole-fat milk to help their brains develop.) 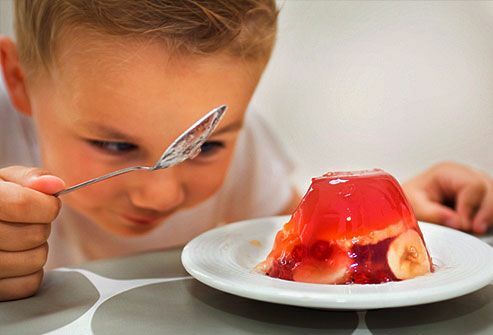 When you shop, compare yogurt labels and choose brands with less sugar per serving. 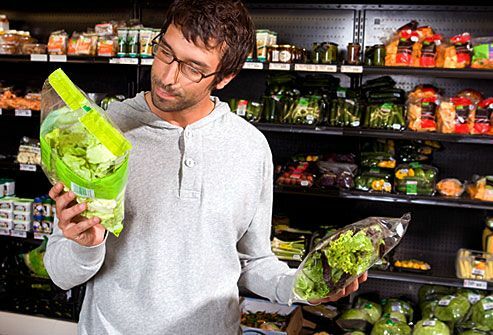 Myth: Stick to the store's outer aisles. Many healthy foods -- produce, dairy, and poultry -- sit on the perimeter of a grocery store. But don’t skip the middle aisles -- otherwise you’ll miss healthy pantry staples like canned tuna, beans, olive oil, and tomato sauces. Also buy vinegar, mustards, and spices to add healthy flavor to meals. But leave the mayonnaises, creamy sauces, and cheesy dips on the shelves. Bagged lettuce and spinach cost more per ounce than the loose kinds, but if the convenience makes your family eat more, you’ll waste less -- and save money. Add romaine to sandwiches and spinach to soups or omelets. Choose based on the latest "buy by" date. To keep greens fresh longer, keep your fridge at 40 F or colder. They’ve come a long way from the TV dinners of old. They can be healthy time savers for you and your family if you choose wisely. 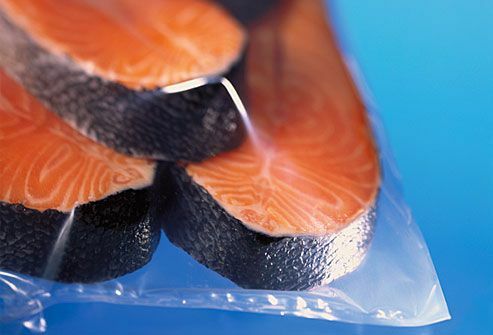 Buy frozen entrees that include a lean protein, a vegetable, and a whole-grain item. Meals that are baked, grilled, steamed, or sauteed are healthier. Avoid fried frozen food and creamy casseroles. Read labels to help you keep fat and sodium in check. Myth: Skip the pasta section. 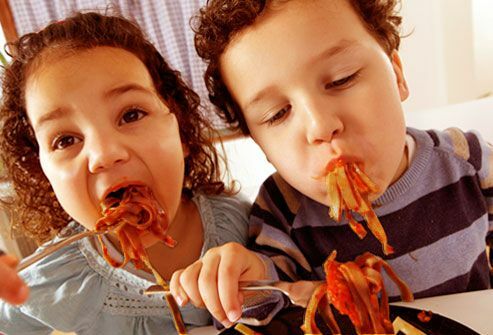 Low-carb diets made pasta the enemy, but cutting carbs for growing bodies isn’t wise. Instead, buy whole-wheat pasta to boost fiber. Try adding low-fat cheese and low-fat milk to whole-wheat macaroni or bowties for healthier mac and cheese. Or put tomato-based sauce and vegetables, like mushrooms, broccoli, or zucchini, in your cart for another option. To get the right portions without the waste, you may need to buy smaller amounts or freeze extra. 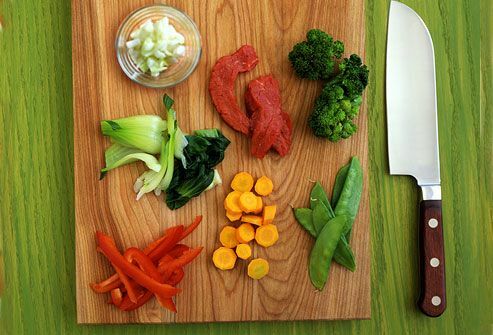 Use meat as a side dish in your family dinners, making veggies and whole grains the centerpiece of the meal. American Academy of Pediatrics, Pediatric Nutrition Handbook, 6th ed. Carol Ann Brannon, registered dietitian; food coach; speaker; author, Functional Foods part I: Legumes, Grains, Fruits & Vegetables. Elizabeth Ward, registered dietitian; author, Expect the Best. Janice Bissex, registered dietitian; nutrition consultant; co-author, The Moms' Guide to Meal Makeovers. Joan Salge Blake, registered dietitian; clinical associate professor, Boston University; spokeswoman, American Dietetic Association; author, Nutrition & You. Karen Collins, registered dietitian; nutrition advisor, American Institute for Cancer Research. Michigan State University, Family Food Facts. Sarah-Jane Bedwell, registered dietitian, Nashville. Tanya Remer Altmann, MD, pediatrician; editor, The American Academy of Pediatrics' The Wonder Years, Helping Your Baby and Child Successfully Negotiate the Major Developmental Milestones. U.S. Department of Agriculture's Agricultural Research Service.